On a cool day in late summer of 1996, I was once again looking forward to attending the Medina County Fair. Always one to enjoy the animal exhibits, especially the wide variety of rabbits, the variety of colors and their gentle nature was always soothing to me. Much like in years past, we walked through the variety of animal exhibits, ate the usual greasy food, went on a few rides, and just as we realized that it was getting quite late and the fair would be closing soon, we glanced into one last exhibit area and saw an amazing group of animals which I naturally assumed were Llamas (everyone makes this mistake!). Drawn inside we engaged the exhibitors in conversation regarding these unusual and beautiful animals. Though “Llama-like” in appearance, and in fact closely related to Llamas, Alpacas are a breed of their own. I proceeded to ask the gentlemen the very same questions that I was destined to answer myself a thousand times over myself (something I enjoy doing!). The array of wonderful colors, softness of the fiber, and gentle nature of these animals was captivating. During my Q&A session, I never stopped to think I was being sold. How could someone like myself, who lives in the suburbs and has never owned so much as a house-cat possibly become involved with exotic livestock? Within two months, I purchased my first Alpacas. Though this sounds like it happened overnight, this was clearly not the case. After hearing the wonderful income potential of raising Alpacas (skeptically) I went to work researching the Alpaca industry by reading books, visiting farms, assembling monster-sized spreadsheets projecting a business plan over five years. 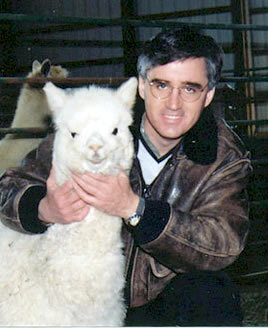 No matter how I sliced it, raising Alpacas looked like one of the most rewarding investments I had ever seen. In reality, it really doesn’t seem all that more far fetched than buying a paper certificate worth some fraction of ownership of a large company whose value is driven by supply and demand, interest rates and emotion. The hardest part of the decision was trusting the information I had and having the courage to become involved in an investment that was unconventional. Overcoming my fears I purchased four Alpacas, and more since, and could not be happier about my decision. 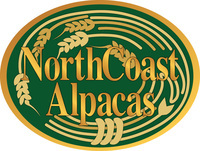 Clearly, my friends and relatives thought I was out of my mind spending $25,000 per animal, but for those who have taken the time to look at Alpaca ranching more closely has come a realization that alpaca ranching can provide a lucrative second source of income with excellent returns and future lifestyle options. Alpacas ranching has provided options I never thought I would have. In the mean time, I have become extremely engrossed in raising Alpacas. Anticipation of my weekly visit to the farm where I board my animals begins with every Monday morning that I drive to work. Baby Alpacas, called Crias, are born to my females every couple of months. As the owner, I choose the males that my females are bred to, and eleven months later get to see the results. It was important in my decision that the Alpaca business be enjoyable outside of the financial rewards - and I can tell you that it definitely has been a great deal of fun. By attending shows and conferences, I have been able to meet Alpaca ranchers from across the country and have found that many of their stories are not all that different from my own. Somewhere this coming summer, another suburbanite will wander off to their local county fair and find themselves enchanted by these wonderful Alpacas.